Hamilton MIL-W reissue on a shell NATO, enjoying the sights in Morocco. What a pairing! Gorgeous Seamaster Pro 2254.50 on Natural Arts & Crafts. A Rover Haven favorite! 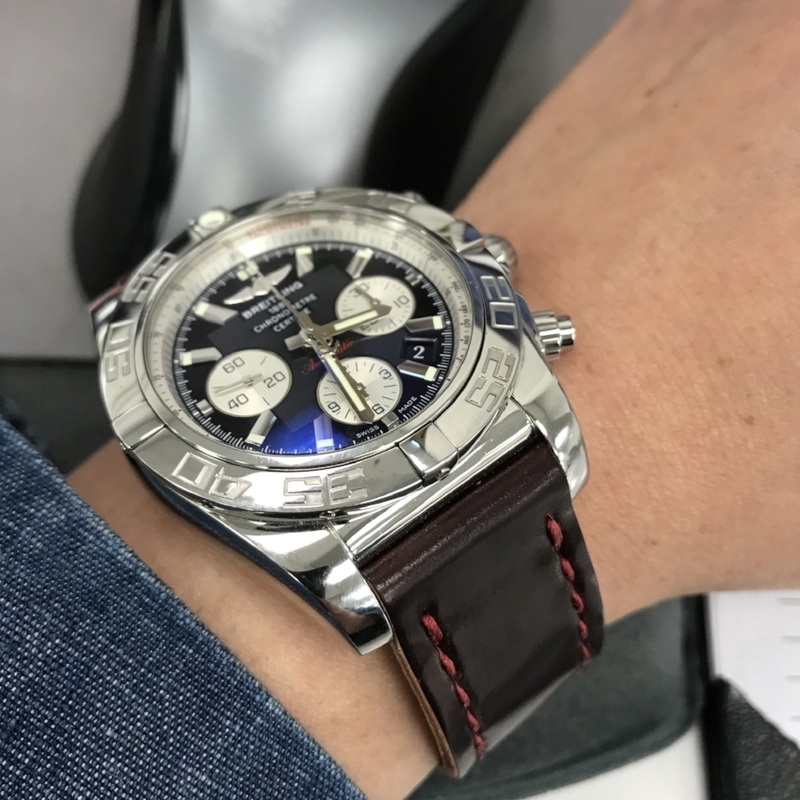 The very elegant Breitling Chronomat 44 on No. 8 Arts & Crafts with cranberry stitching. Yummy. 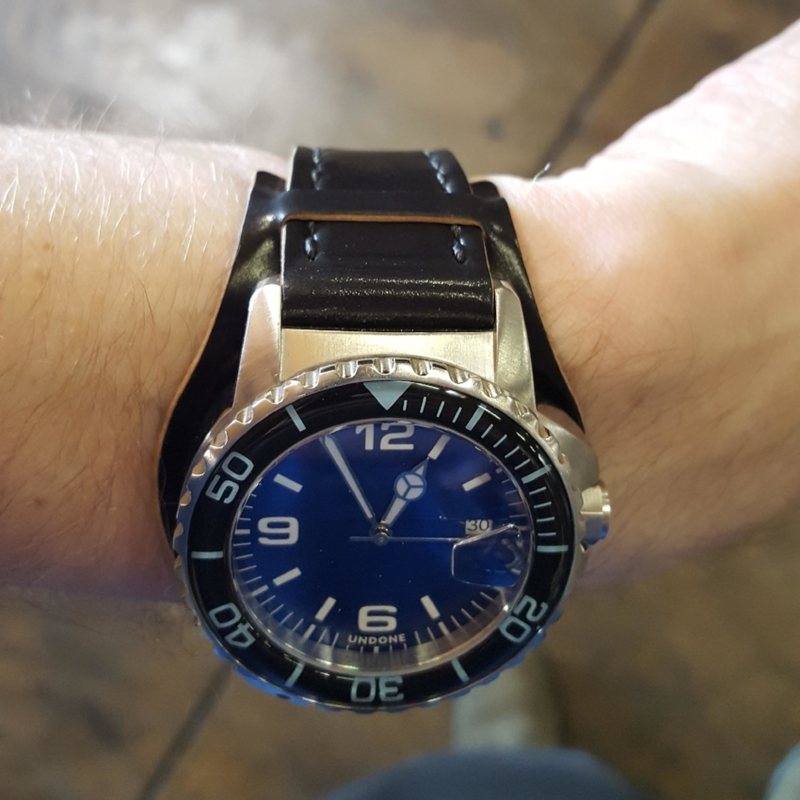 A very cool Undone diver on a Black Arts & Crafts with Bund pad. Very cool style! Incredible Speedmaster Moonwatch Co-Axial on Natural Arts & Crafts. Oris F1 on Navy Arts & Crafts with gray stitching. A very cool way to wear this otherwise bracelet-only Oris. A fantastically beautiful Sinn 103 LE with blue dial and bezel on a Natural Arts & Crafts. USMC pilots have great taste! A fantastic Seiko 5 that gets taken into the field. Natural shell tack-stitched at the lugs. 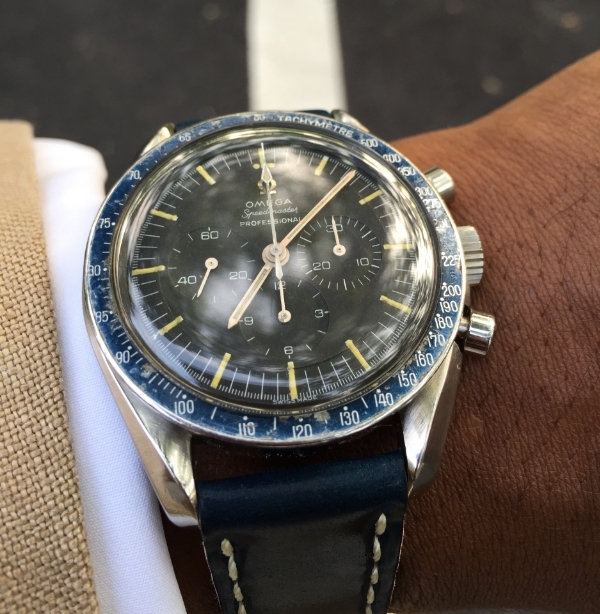 One good looking dude on his wedding day, wearing his nuptial Speedy on No. 8 Arts & Crafts. This guy has class. GMT II on a two-piece Cognac strap with gray stitching. A collage from the very chill Salt Lake City Seiko Club, of which I am a member (with my 6138). Vintage GMT Master on Navy Arts & Crafts with black stitch. IWC Mk XVI Flieger on Cognac Arts & Crafts. Archimede Sporttaucher on Whiskey Arts & Crafts. This shot was taken on 35 mm film. Lemania Tg 195 Swedish Military on a MIL strap. One of the most beautiful watches ever made. Laco on a tack-stitched two-piece. Sinn 857 on Whiskey MIL strap. Ladies love Rover Haven straps too. Seiko SKX007 on Natural Arts & Crafts. Laco Baumuster B on Cognac Flieger. Tritium-dialed Speedy caliber 861 on Black MIL strap. Speedy caliber 321 on Navy Arts & Crafts. Blancpain Fifty Fathoms "No Rads" on Mahogany Arts & Crafts. Hamilton Viewmatic on Black Two-Piece.